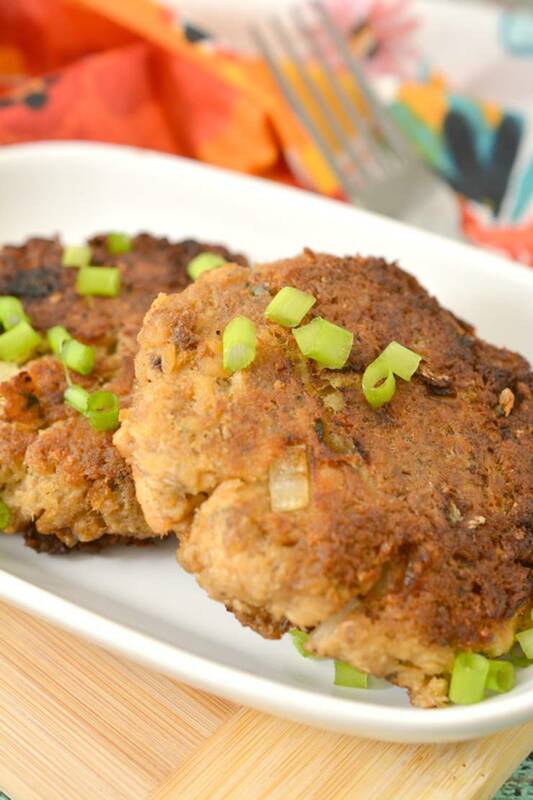 Hey Keto fans – if you are looking for a quick and easy meal then check out these low carb keto salmon patties. 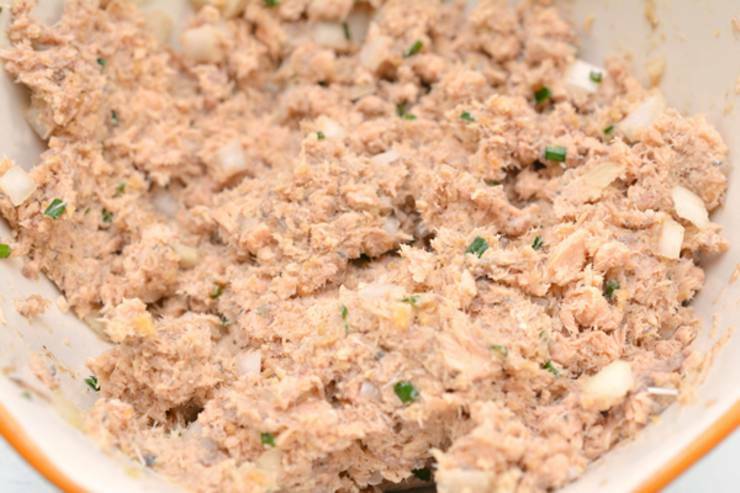 Amazing and delicious homemade keto salmon cakes with crushed pork rinds and canned salmon. 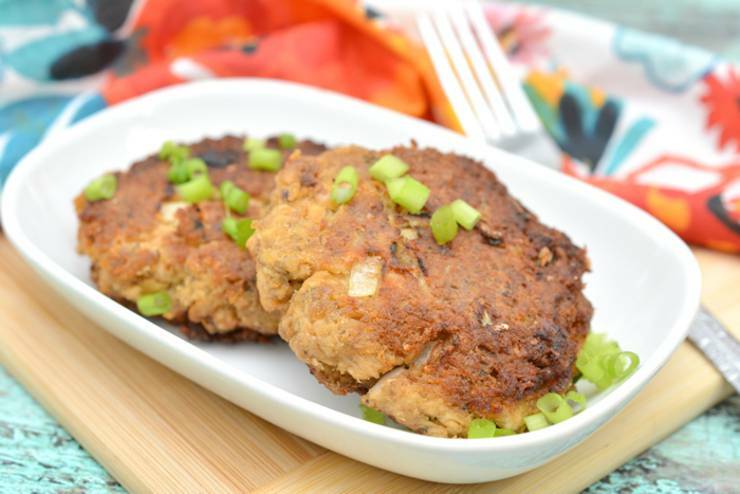 These keto salmon patties with pork rinds make a great weeknight dinner when you are in a rush and want something healthy and tasty. 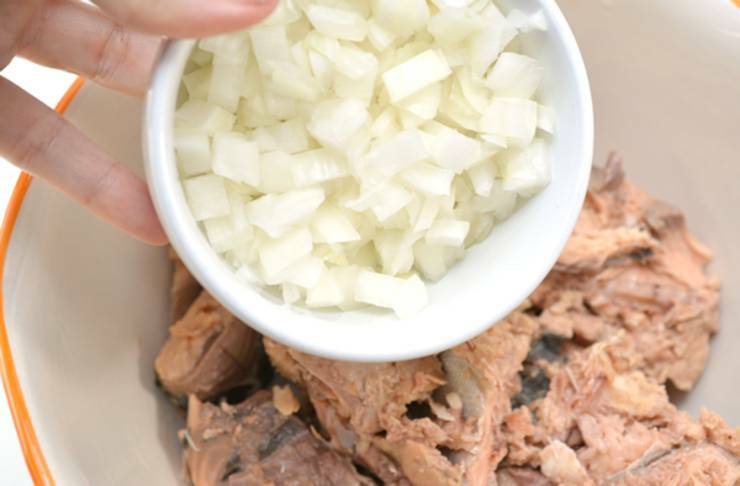 This keto recipe is great for a family friendly dinner, party food and even great for a tailgate party. 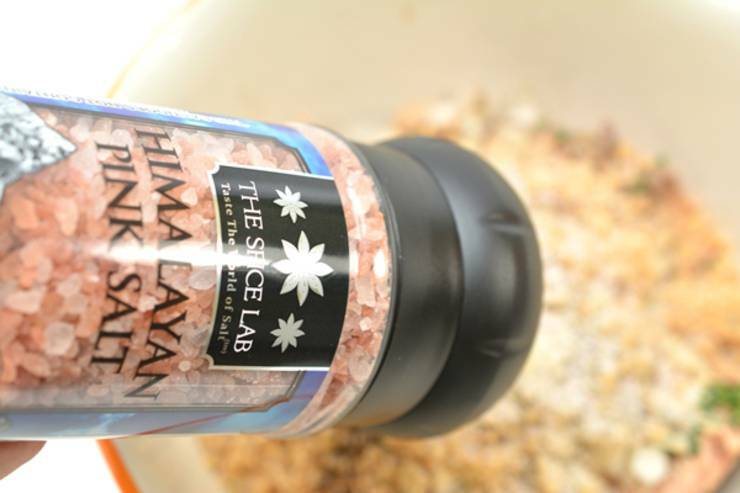 Are you ready to cook up some healthy and easy ketogenic salmon cakes? 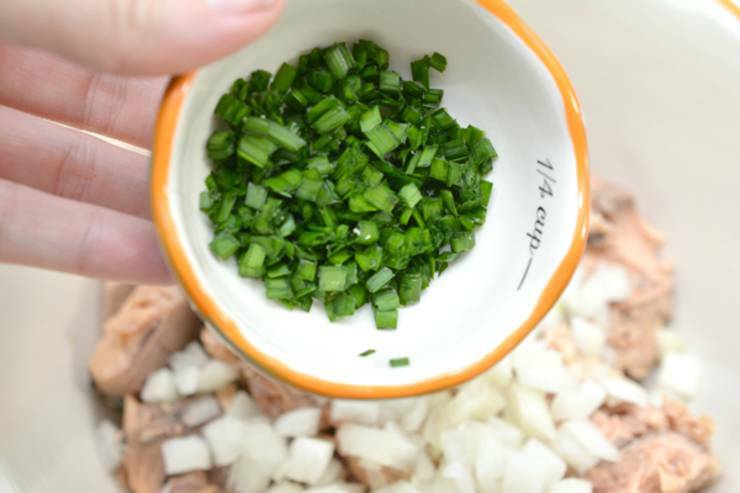 Add 2 tablespoons of fresh chopped chives. to use two skillets or cook the patties 4 at a time. 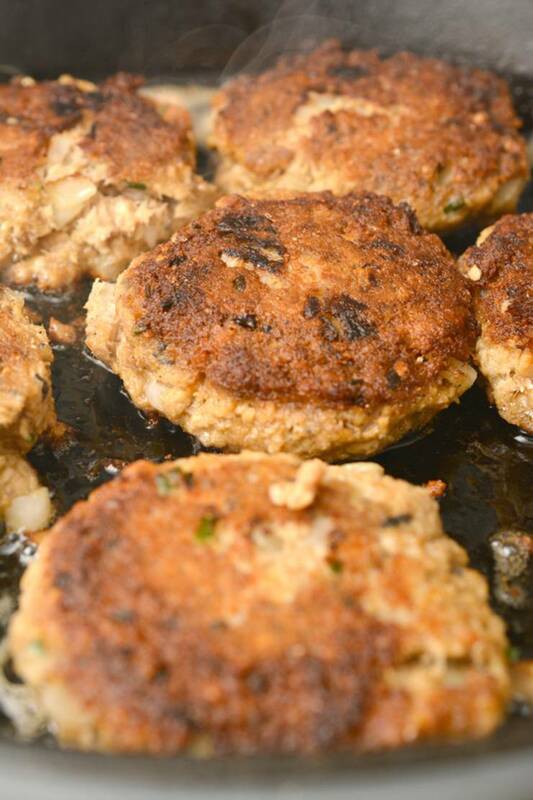 Cook the patties for 5-7 minutes on each side, make sure to sear and brown each side well. 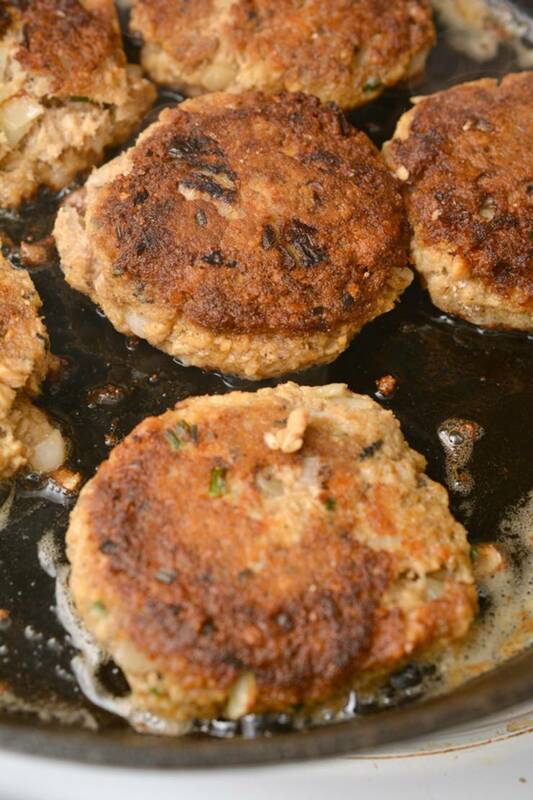 Set the patties on a paper towel and drain for a minute after you remove them from the skillet. 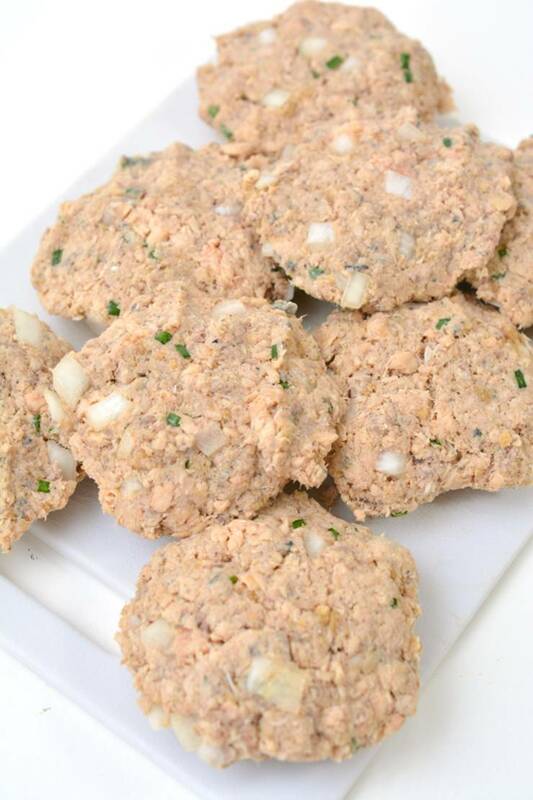 Call them what you want – keto salmon patties, low carb salmon cakes, salmon burgers or whatever you would like – bottom line these are delicious and everyone will love them. 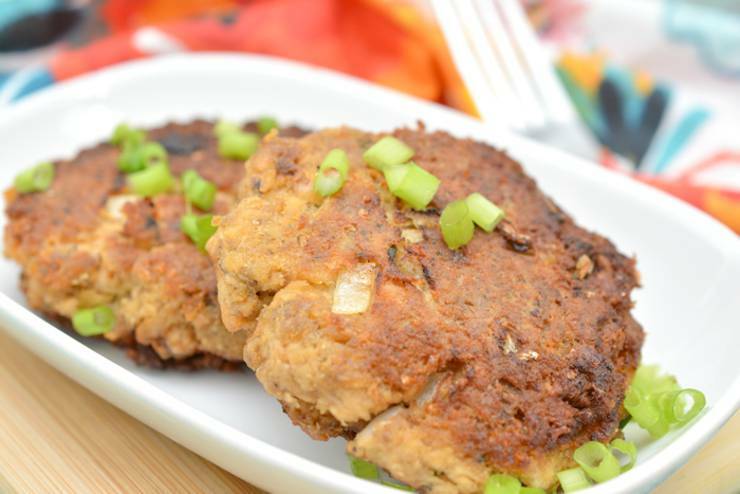 These no fuss salmon cakes are great over a bed of cauliflower rice or on their own or top with avocado! 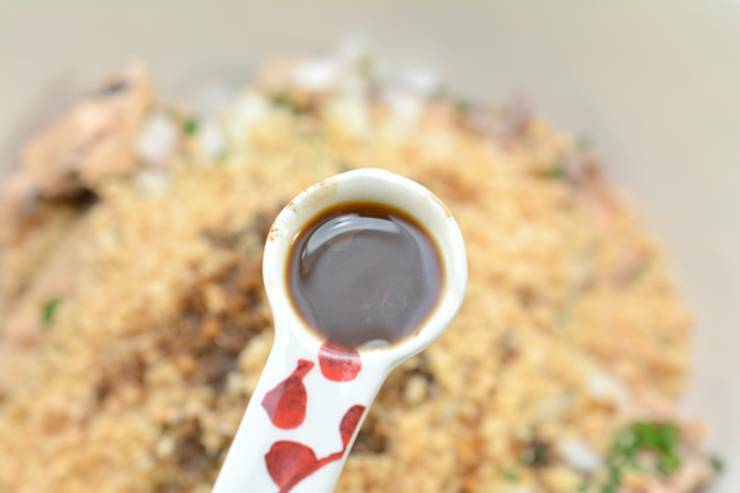 It is a perfect low carb recipe for beginners too. 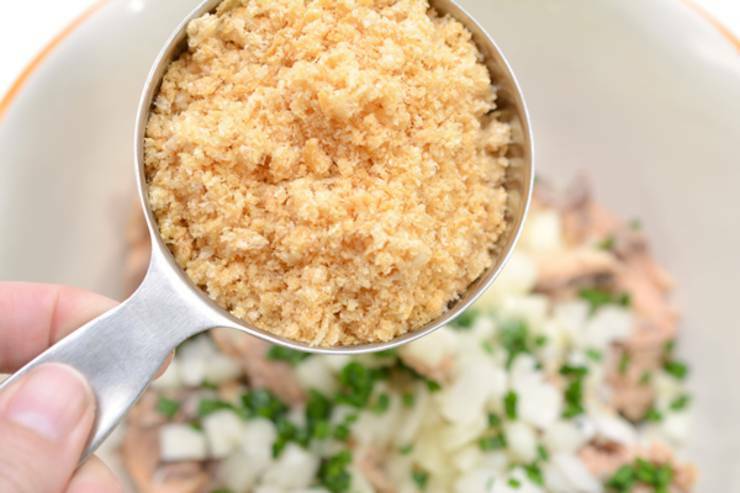 You will be amazed with the taste of this low carb meal – super tender on the inside with a bit of crunch on the outside. 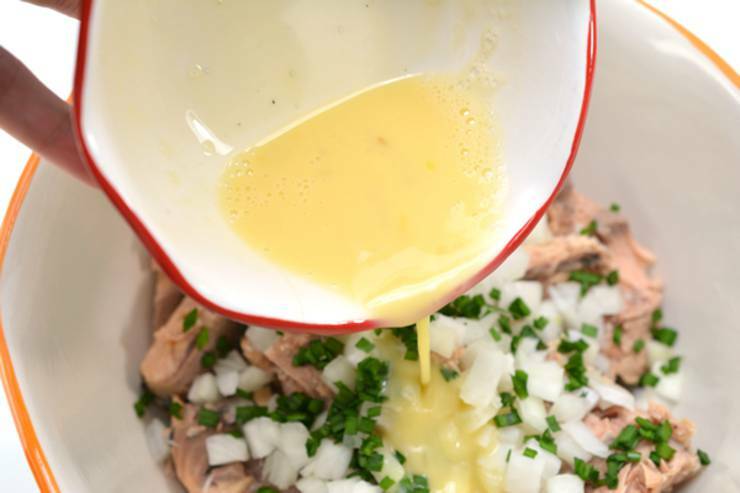 You can make whatever kind of sauce you would like but keeping it simple is best (sour cream, avocado, fresh herbs). 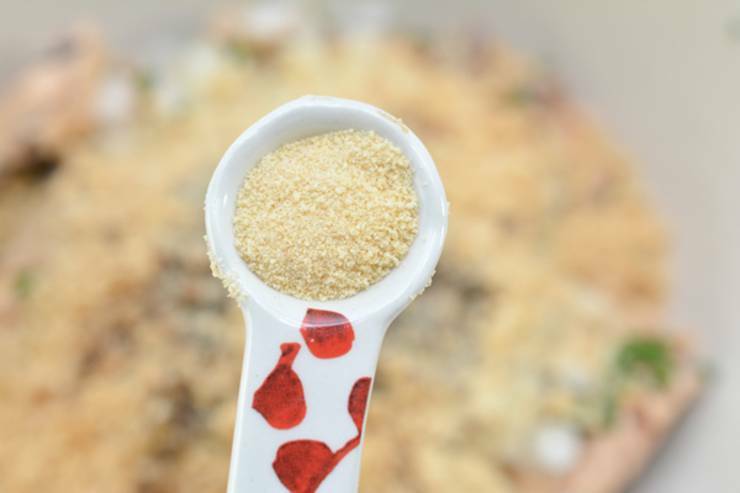 I hope you enjoyed this keto recipe and the step by step instructions – if you need more keto dinner ideas or low carb meal inspiration you can check out Pinterest where you can find – keto salmon patties with coconut flour, almond flour, gluten free, paleo, whole 30, with an without eggs and much more. Enjoy and healthy eating.